These days, I’m working on the slides for my next talk, “The humble border-radius”. 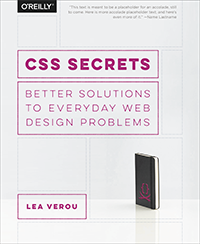 It will be about how much work is put into CSS features that superficially look as simple as border-radius, as well as what advances are in store for it in CSS Backgrounds & Borders 4 (of which I’m an editor). It will be fantastic and you should come, but this post is not about my talk. I was very proud of myself. My first MathML equation! It’s actually pretty simple when you get the hang of it: <mi> is for identifiers, <mo> for operators and those are used everywhere. For more complex stuff, there’s <mfrac> for fractions (along with <mrow> to denote the rows), <msqrt> for square roots and so on. 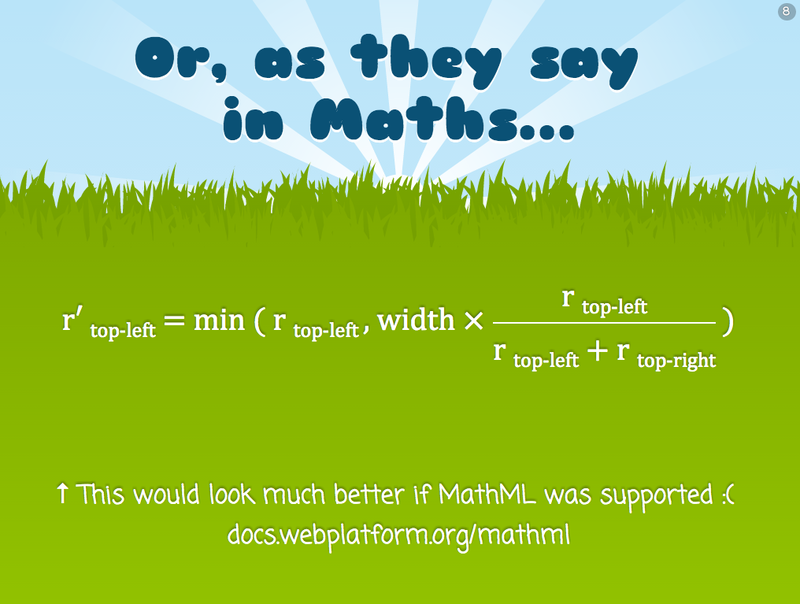 There are libraries to make it work cross-browser, the most popular of which is MathJax. However, this was pretty big for my needs, I just wanted one simple equation in one goddamn slide. It would be like using a chainsaw to cut a slice of bread! 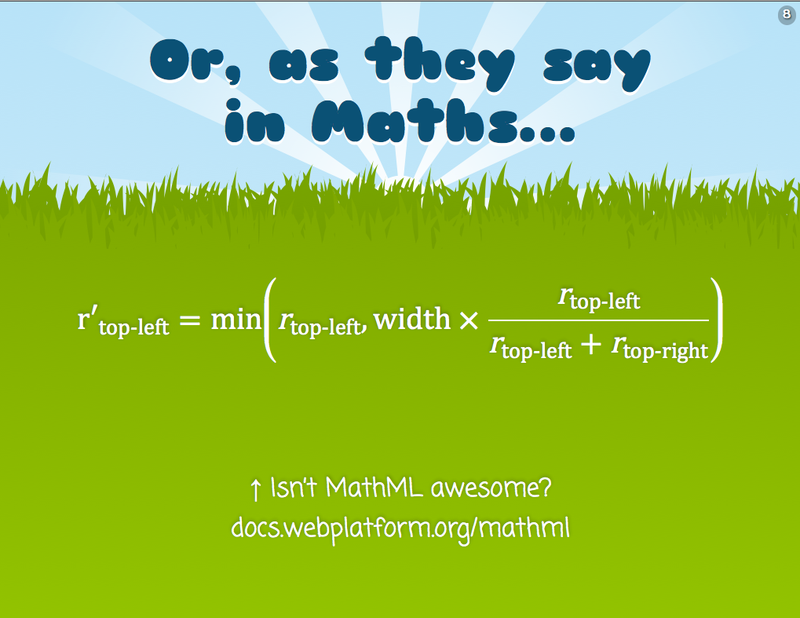 Obviously it’s not a complete MathML-to-CSS library, if one is even possible, but it works well for my use case. If I have to use more MathML features, I’d write more CSS rules. The intention of this post is not to provide a CSS framework to use as a MathML fallback, but to show you a solution you could adapt to your needs. Hope it helps! 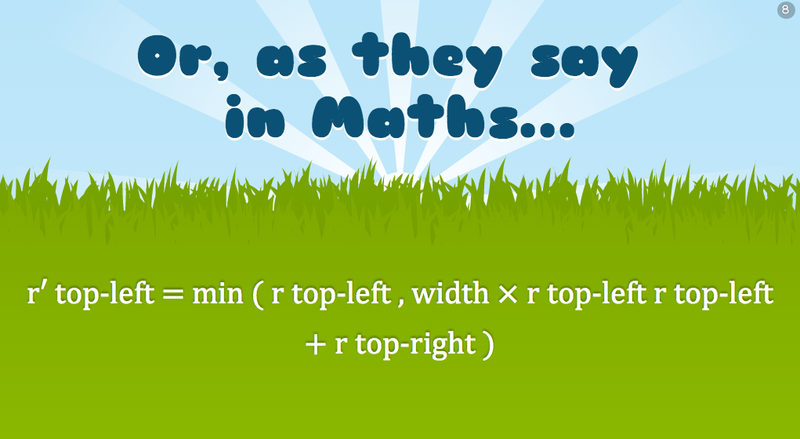 This entry was posted in Tips and tagged CSS, fallback, MathML. Bookmark the permalink.